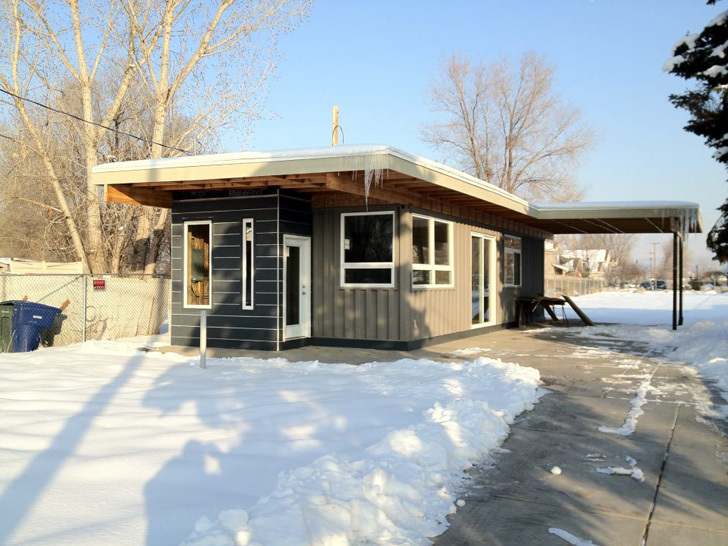 Shipping container homes tend to be exceptionally attractive. But during the cold season, just like any other home out there, they get cold. Isn't that obvious? So the question that erupts out of all this is, how do I keep my shipping container home warm? Let that not worry you for you are about to come across some of the best tips that will help you achieve warmth in your container home. Inspect to make sure that there are no gaps that can let in air. A tip to locate such gaps is the gaps are mainly found in the external windows and doors. The job here is quite simple. All you need is some silicone caulking and a caulking gun. It is a straightforward do it yourself job. Whats incredible about wood burners is that they can generate a considerable amount of heat in a short period. If you light a wood burner and observe it for a few minutes, you will realize it can warm up a living room in a matter of minutes. An added advantage to the short time it takes to warm a room is the fact that it is cheap to maintain. If you gather wood by yourself, it makes it cheaper. It is highly recommended that you use double glazed windows when setting up your container home. These type of windows are expensive but what they offer is to reduce the amount of heat that is normally lost through the windows. An additional advantage not related to warmth is that it will buffer unwanted noise that is coming from outside. The main focus here is self-warmth. Remember to put equal concentration on warming up yourself before you can decide to make the home itself warm. It is easier to feel the home is warm if you are warm yourself. Its a matter of taking simple initiatives such as wearing warm socks, a jumper, and gloves. You can also consume hot beverages and foods. When relaxed on the sofer, you can make use of a blanket. Especially during winter, to achieve the desired warmth in a container home in a natural way can prove difficult. Thanks to portable heaters that you can use to achieve some kind of extra warmth. As much as it can provide that extra warmth you have to be careful. You should always remember to turn it off when going to bed for it is a fire hazard. The other thing is that it is quite expensive to run it and it also only warms a small place. It should, therefore, be a form of last resort. If you have a baby in the house you also risk accidents. If you consider taking into account the tips that have been provided you will most likely than not have a warm home all through the winter period. If you have additional tips of your own, make sure to utilize them so as to achieve the desired warmth in your shipping container home. That's really useless list of advice except double glazed windows. Can you advise on how to build a proper container house for a winter use, lets say when its -30 C? WHat fill to use on walls, ceiling and floor. Spray foam insulation is the best way to insulate a container home for all weather environments. This helps to create a better full interior membrane seal to reduce heat leakage from the home. Like the energy saving Doulbe glaze windows the spray insulation can be pricey. However it's definitely worth every penny for a sustainable energy smart or net zero home.